2-in-1 Protein Enriched Fortifies Strengthens Detangles..
CLAMING WATERS SCENT! 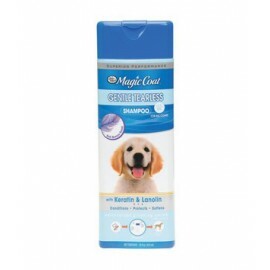 Specially formulated to clean and conditionthe dog's coat in one easy step,Magic Coat Cleans & Conditions 2-in-1 Shampoo & Conditionerin One has a protien enriched formula that h..
Four Paws Magic Coat Essential Oil Avocado Shampoo 16 oz. 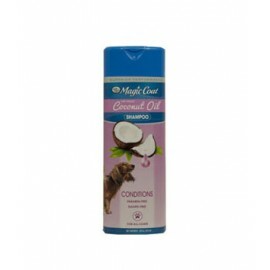 Four Paws Magic Coat Essential Oil Coconut Shampoo 16 oz. 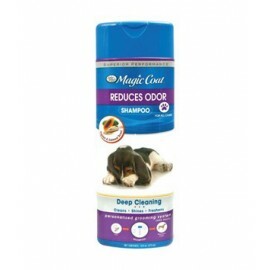 Four Paws Magic Coat Gentle Tearless Dog ShampooFour Paws Magic Coat Gentle Tearless Dog Shampoo is specially formulated with keratin and lanolin antistatic hair and skin conditioning agents to retain..
Magic Coat Hypo-Allergenic Shampoo is specially formulated with skin soothing Oatmeal to support new growth after removing dead skin and hair leaving a shiny , soft ,healthy coat .We recommend using i..
With Oatmeal Moisturizes Soothes Relieves..
With Aloe Vera Smoothes Shines Detangles..
Magic Coat Tangles and Mats Shampoo is specially formulated with vitamin rich aloe vera providing deep moisturizing effects that strengthen and detangle the dog's coat.It soften's the coat leaving it ..
As industry innovators and experts on pet hair, FURminator understands the entire shedding cycle and the role that hair care and hygiene play in helping to reduce and control shedding. For that reason..
Soothing - This conditioning treatment contains aloe & oatmeal that helps relieve dry itchy skin. 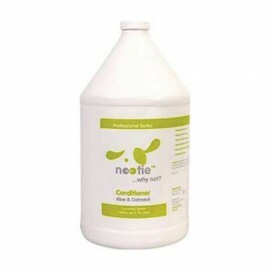 It's formulated with the fresh scent of cucumber melon while leaving your dogs coat a fantastic body a..
Soothing - This conditioning treatment contains aloe & oatmeal that helps relieve dry itchy skin. It's formulated with the refresh scent of Sweet Pea & Vanilla while leaving your dogs coat a fantastic..
A great moisturizing grooming shampoofor pets. 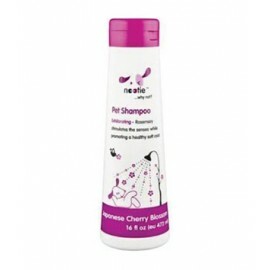 Vitamin and oil enriched to give coats a shiny and soft texture, this shampoo also leaves a long lasting delicious scent that's unforgettable.Exhilaratin..
A great moisturizing grooming shampoofor pets. 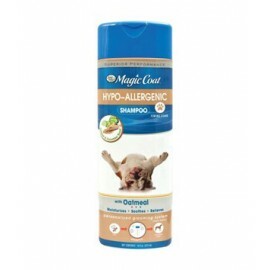 Vitamin and oil enriched to give coats a shiny and soft texture, this shampoo also leaves a long lasting delicious scent that's unforgettable.Hypo-Allerg..
A great moisturizing grooming shampoofor pets. Vitamin and oil enriched to give coats a shiny and soft texture, this shampoo also leaves a long lasting delicious scent that's unforgettable.Moisturizin..
A great moisturizing grooming shampoofor pets. Vitamin and oil enriched to give coats a shiny and soft texture, this shampoo also leaves a long lasting delicious scent that's unforgettable.Refreshing ..
Nootie's Restoring Argan Oil Shampoo infused with the exhilarating scent of Soft Lilly Passion, helps restore softness and shine with natural antioxidant nutrients Vitamin E & Omega-6 Fatty acids.- An..
For a great moisturizing grooming shampoofor pets. 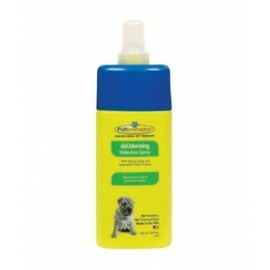 Vitamin and oil enriched to give coats a shiny and soft texture, this shampoo also leaves a long lasting delicious scent that's unforgettable.Soothin..
Long lasting fragranceMade with natural ingredientsSoap & paraben freeNo sulfates or harsh chemicalsSafe to use along with topical flea & tick products..
A great moisturizing grooming shampoofor pets. Vitamin and oil enriched to give coats a shiny and soft texture, this shampoo also leaves a long lasting delicious scent that's unforgettable.Soothing - ..
Whitening & Brightens - This whitening and color enhancing shampoo with the refreshing fragrance of Sweet Pea & Vanilla leaves your pet glowing without drying or irrating the skin. 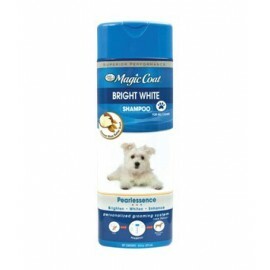 It removes difficul..
Deodorising shampooTime to take care of that smelly pooch with our effective deodorising shampoo. 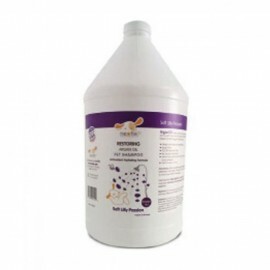 This powerful yet gentle formula actually neutralizes odours - doesn't just cover them up!Baking soda ..
Doggie fragrance. 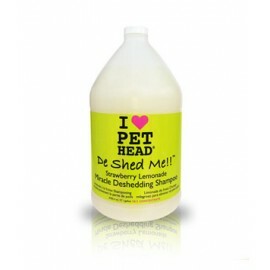 One quick spray keeps your doggie smellin' fresh all day!! Masks that wet dog smell instantly! Smells so.Good!.. This super amazing formula drastically reduces shedding by laying down the hair neatly and removing excess hair, leaving the coat smooth and silky! Avoid eyes and ears. 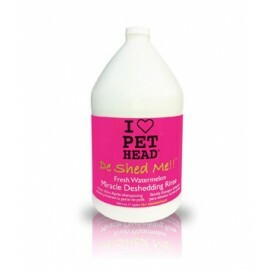 Bathe your pet twice a week for..
Puppy Tearless shampooPower to your puppy!! 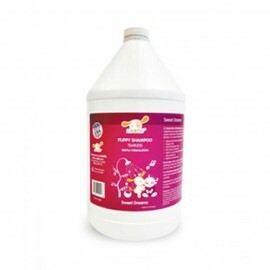 Our super gentle hypoallergenic tearless shampoo makes bath time fun!! Shea butter and safflower oil soothe and nourish the skin and restore elasticity to t..
Creme Rinse For Curly & Long CoatThis deep conditioning creme rinse delivers a tangle-free, soft, silky coat.Oat protein nourishes and strengthens the hair shaft, leaving the coat fuller and healthier..
Dry & Sensitive Skin ShampooIs your dog feeling flaky? 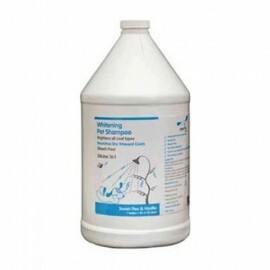 Our quenching formula helps relieve dry, irritated skin and restores coats's natural luster for pets withsensitive skin.Yucca & chamomile extract..
A must have for pets that shed!! Our miracle rinse with organic coconut oil helps remove excess hair and leaves the coat so amazingly soft and silky it's crazy!! Whether short, coarse or long hair, yo..
Leave-in ConditionerPamper your pup! High maintenance never looked so good. First, shampoo and rinse then smooth this leave-in conditioner all over while avoiding eye area.Blow dry and instantly make .. Skin soothing shampooStop your itchin'! 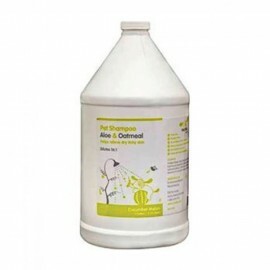 This amazing formula relieves skin irritations caused by insect bites and dry skin.Oatmeal and aloe vera work together to soothe the skin. 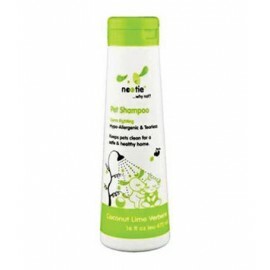 Tea tree oil helps pu..
Sparkling Brightening Shampoo. Get your White Party started! Argan Oil works to nourish and strengthen the coat as it rehydrates. Natural citric acids, Vitamin B3 and yummy fresh-squeezed "orangelicio..
Four Paws grooming essentials keep pets happy, healthy, clean, and smelling great while providing for day-to-day grooming needsFour Paws colognes are easy-to-use sprays that keep pets deodorized and s.. 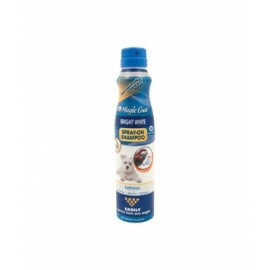 Easy-to-use dog grooming cologne that keeps pets smelling freshLasts between 24 hours to several daysBest dog cologne to use as often as you like between bathsQuick, spray-on cologne for dogs..
Gently removes daily dirt & odorNootie ear wipes may be used for routine ear cleaning in a healthy ear. Helps eliminate ear odor. 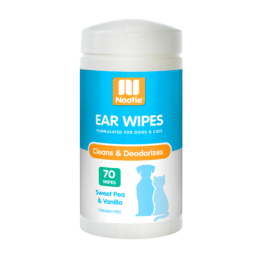 It may be used for dogs and cats of any age. It is infused with th..